Download "SRL Networks Presents Vintage Blue" on the Skunk Radio Live Record Store. Trends and fads come and go, but honest, heartfelt Rock ‘n’ Roll is here to stay, especially if Chicago rockers Vintage Blue have anything to say about it. Described as “poised to become the Windy City’s next great Rock n’ Rollers” by SOCO Magazine, their freshman LP - Strike The Mics, produced by the Grammy-nominated Jamie Candiloro (REM, Ryan Adams) has been added to over 170 radio stations in the USA and Canada, and has been the subject of features on both WXRT in Chicago and WOCM in Ocean City, Maryland as well as a national television placement on WGN TV. Released in February 2012, Strike The Mics was met with even further acclaim, as the band sold out their CD Release show at Subterranean in Chicago and headlined at the Chicago House of Blues. Although the band are regulars in the ever-thriving Chicago club scene, selling out shows at the House of Blues, Lincoln Hall, Double Door, Schubas and Subterranean, the band also just completed their first national tour. The band rocked with some great crowds in Nashville, Atlanta, Ocean City, Philadelphia and Cleveland … and that’s only the beginning. 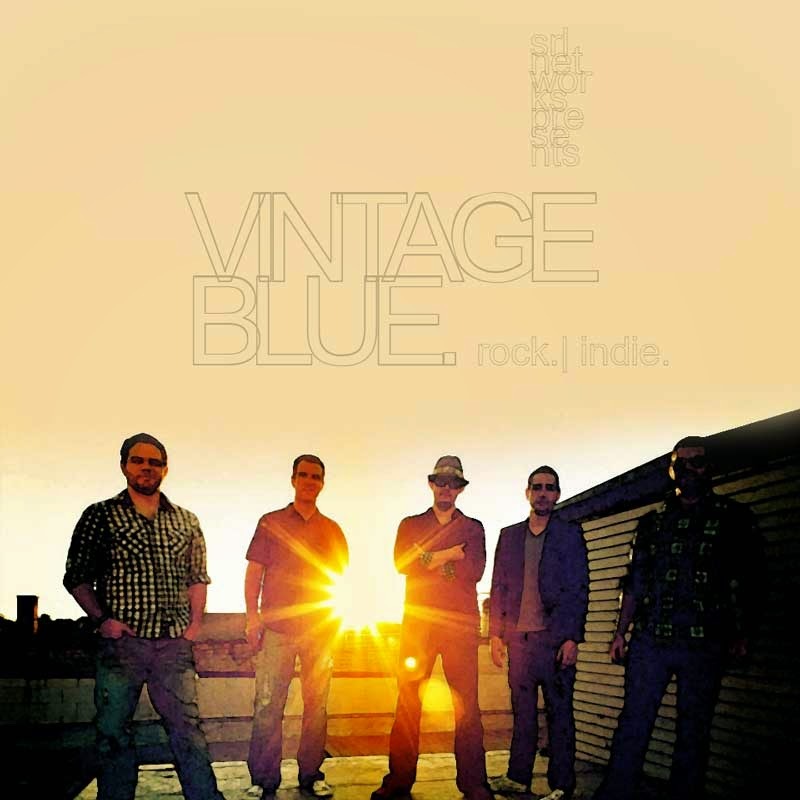 Listen out for Alone, Let Go and lots of other great songs by Vintage Blue on Skunk Radio Live Rock and Indie programs.